Since I started blogging almost two years ago, I've posted over 80 recipes here on this blog. I love finding and creating new recipes to try out on my family - and it brings me a lot of joy to share them with you, too. And, I love it that y'all have tried so many of them. It makes sharing them so much fun to know that you are enjoying them, too. So, I decided to work on a little project. I went through all the recipes that I've posted and labeled them according to type - Breakfast, Appetizers, Soups/Salads/Sides, Main Dishes, and Desserts. I tried to keep it simple - because that's just how I like things. To further simplify my recipe collection, I created a "Recipe Box" over there on my sidebar. So, now - instead of having to scroll through the 25 cookie recipes I posted during our Christmas Cookie Countdown when you click on the generic "Recipes" label - you can more easily find the specific recipe or type of recipe you're looking for - in the "Recipe Box". 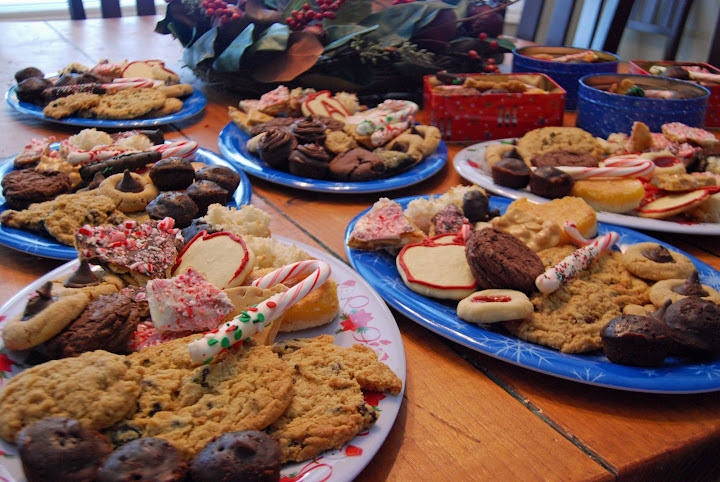 And, speaking of our Christmas Cookie Countdown, many of you have asked me what we did with all of our cookies. I can tell you that we didn't eat all of them - though I had 5 lbs. of cookie dough sitting around my middle until about a week ago. And, based on James 1: 27 - "Religion that God our Father accepts as pure and faultless is this: to look after orphans and widows in their distress..." - the five of us delivered them to residents at a local nursing home on Christmas Day. I didn't take pictures - as it just didn't seem appropriate - but I can tell you that two little boys went bursting through room doors shouting, "Merry Christmas" to people who hadn't had any visitors that day. And, I can tell you that a little baby can light up the face of a 100 year-old woman like nothing else. And, I can also tell you that the boys totally lost interest after about three in-room visits and began playing with medical equipment and all manner of other things that looked irresistible to them, and I ended up delivering the rest of our cookies while Jason attempted to entertain them in the hallway. As we baked our cookies throughout the month of December, we talked to the boys about what we were going to do with our cookies. We wanted to teach them that their labor of love - the work of their tiny hands - was more precious than any gift we or they could buy anyone. And, that they could share the love of Jesus this Christmas with others less fortunate than they are - just by sharing the cookies they made. We don't know what they'll remember about this Christmas - or if they learned what we hoped they'd learn - but we will never forget what this Christmas meant to us as their parents. And, what God did in our hearts. Thank you, to those of you who baked alongside of us. We had so much fun baking together as a family - and hope that you did, too. You continually amaze and inspire me. You are the real deal... and an awesome mom and women of Christ. What an example and inspiration you are to me. I love your Christmas Cookie Advent and I am sure our Lord did as well. Thanks for the recipe help also. what an awesome way to spend christmas! and i baked some of the shortbread thumbprint cookies today as well - the were so, so, so good! You're such a great mom. What a wonderful experience for both the boys and the residents. This is very touching!! What a great idea and lesson for all 5 of you!! I was wondering whether you were going to actually eat all those cookies. Great lessons for your little guys. I'm happy to hear I can find your recipes all together! I am so glad I found your blog. You are such an inspiration. What great ideas, Sarah. 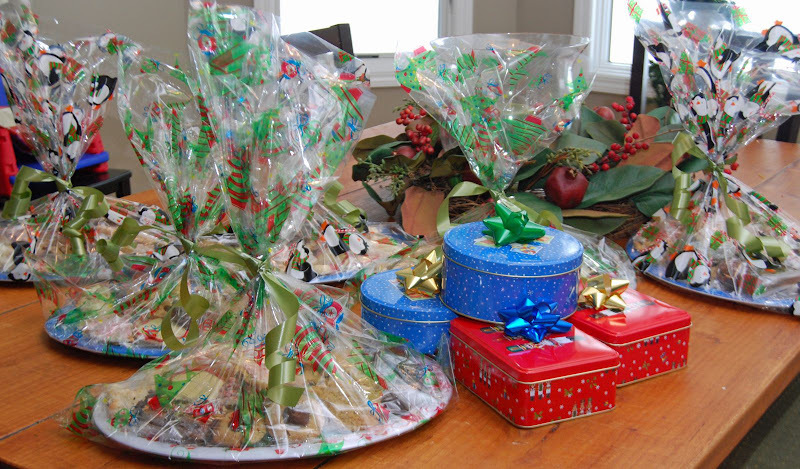 The recipe box and the cookies for the elderly. Teaching a selfless, serving heart at a young age...this is lost in our society. BTW, I thought of you today as I started making a pound cake with Sierra and Kate. Then thought of you again, when I realized I didn't have all the ingredients, so we made cookies instead! What a fun tradition to start. I did wonder what you did with all those cookies! Sarah, Sarah... I just love ya, girl. You're all heart. You're creative and such a good momma and friend. What a treat it is to read your posts. OK, first, the recipe box idea is awesome because I do go scrolling through your recipes all the time! Second, so glad to hear that the delivery went well. It was such an awesome idea, Sar. I totally agree with Jenni! The recipe box, great idea. It will make perusing much easier. And going to the nursing home to deliver the cookies is just wonderful. I figured you had given them away, but this was such a great way to demonstrate a servant heart to your boys. What a great mom! PS Loved the sticky buns, they were delicious. Tonight on to piccata! I love this. What a great thing to do with your kids. Wow...you are one amazing mom! Great quality time with your boys, lessons along the way, and then THIS...one more amazing lesson for them to carry with them. I love it! I went back looking for your Recipe Box post and realized it was the same one! very inspiring, Sar! You are an awesome momma! I love your recipe box- YEAH! 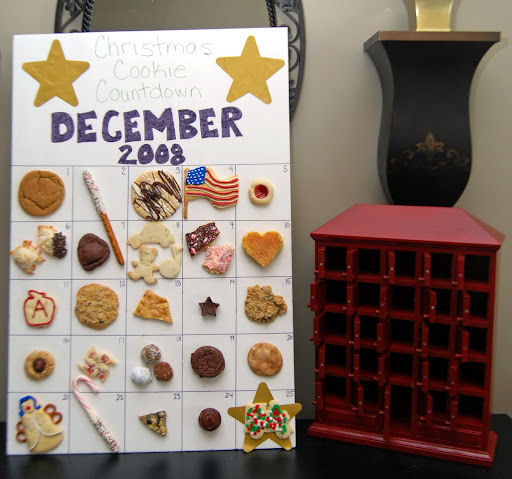 The calendar you did with the Christmas cookies - love it so much. It is adorable and a great reminder of all you did. I love how you delivered your cookies.